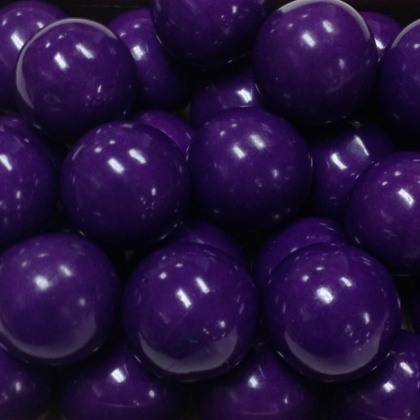 Purple gum balls make a beautiful wedding or party favor. A delicious tutti frutti flavor. These not only look great but taste great too! Approx 1 inch in diameter and 60 pcs per pound. Certified Kosher Pareve.